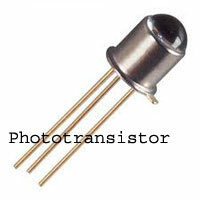 Transistors are semiconductor devices act as switch, voltage amplifier etc. The semiconductor material used in the transistor may be Silicon or Germanium. Silicon transistors are now widely used in electronic circuits. The transistors are of two types. 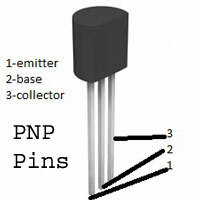 NPN and PNP transistors. There are two basic differences between these types. 1. 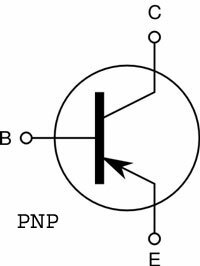 NPN transistor conducts only when its base is positive and PNP transistor conducts only when its base becomes negative. 2. 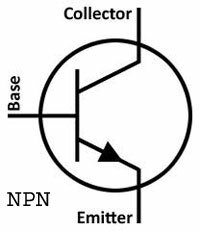 The flow of current in NPN is from Collector to Emitter while in PNP, it is from Emitter to Collector. The transistor turns On and drains current only if its base gets more than 0.7 volts. Higher voltages can damage the base so that current limiting resistor is used at the base. Transistors are classified into three types based on the power output. 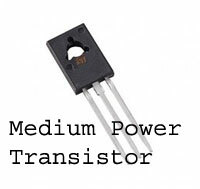 These are Low power, Medium power and High power transistors. 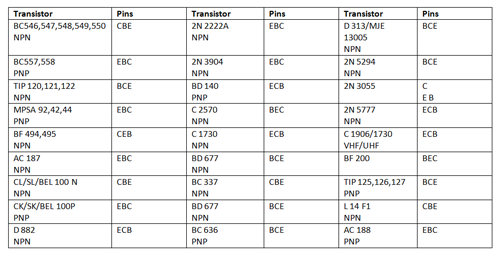 In common circuits, low power, general purpose transistors like BC 547, BC 548, BC 549 (all NPN), BC 557, 558 (all PNP) are used. If the load is large and current requirement is high, Medium power transistors like BEL 100 N (SL 100 / CL 100), BD 139 (all NPN), BEL 100 P (SK 100 / CK100), BD 140(all PNP) etc are used. High power transistors are used in Power amplifier, Inverter circuits, UPS etc. It is a kind of transistor with the base exposed through a glass widow. In some makes the glass window is a lens to focus light (L14F1) .When light falls on the base, transistor conducts. The current flow depends on the intensity of light. That is, in dark, it remains off and in bright light, it turns on fully. The Phototransistor has a base pin, but it is left unconnected in circuits since base bias is through light. But this pin can be used for triggering in some circuits. L14F1 is the efficient Darlington( Two transistors connected together) phototransistor used in most circuits. 2N5777 is also used but it has less sensitivity. 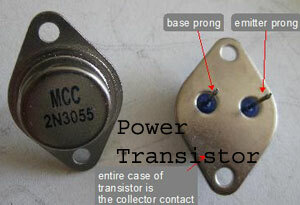 Pin identification of the transistor is a difficult task for a new comer. Only after identifying the Collector, Base and Emitter pins, it is possible to use it in the circuit. 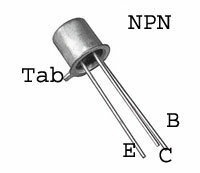 General purpose NPN transistor has the pin assignment like C B E from the front flat side on which the number is printed. In PNP transistor it is EBC. But this is not applicable to all transistors. Only after verifying the Datasheet, you will get the pin assignment. In Metal case transistors, the pins are arranged circularly. There is a Tab in the rim of the metal case and the pin close to this Tab is Emitter in NPN and Collector in PNP. The pin opposite to it is the Collector ( Emitter in PNP)and the middle pin is base. The Ready Recknor given below shows the pin assignment of the most common transistors used in circuits. The information for a transistor is shown as a code embossed or printed on its face. Transistor coding follows two systems namely European coding system and American coding system. In European coding system, two alphabets are used before the part number. The first alphabet represents the semiconductor used and the second alphabet represents its use. These are the alphabets in the codes. According to the American system of coding, the code begins with 2N which is followed by the number that indicates the time of design. A higher number indicates recent design.